Ever wondered if you made it to the end of Avengers: Infinity War unscathed? You’re in a luck. 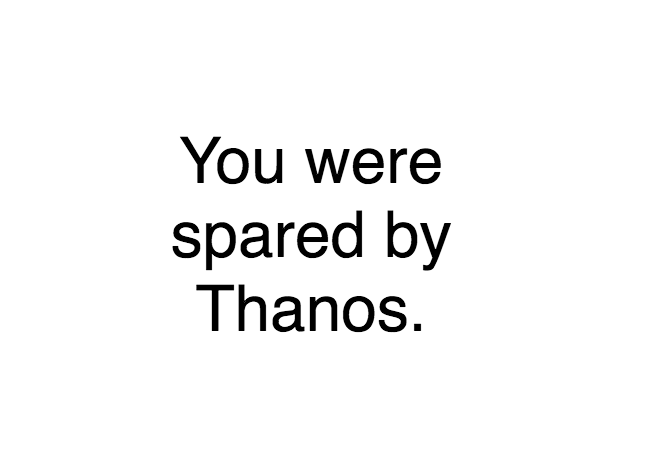 A new website lets you know if you if Thanos killed you. 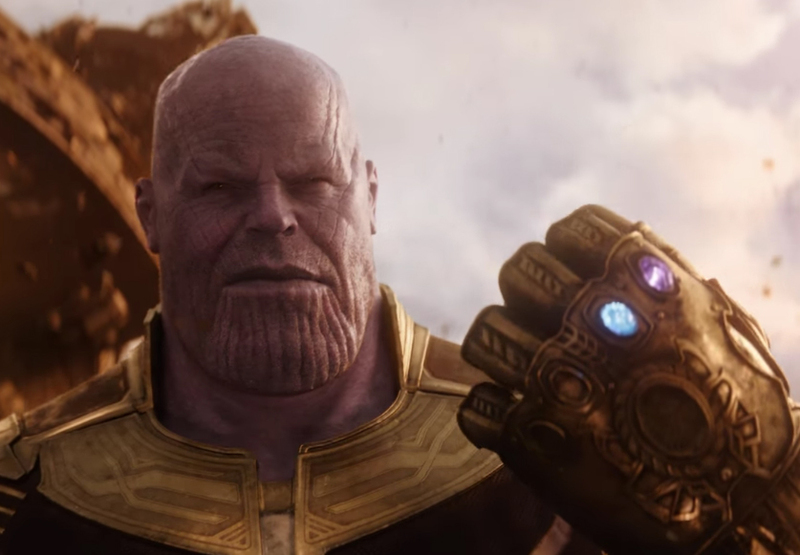 Incase you’re not in the know (which would be bizarre as this article will make zero sense to you) Thanos’ ‘thing’ is to bring balance to the universe by eliminating half its population. Personally I was spared by Thanos, as seen below, but given I’m a precocious type, with an insatiable appetite for power, knowledge and banter, it’s hardly surprising. Now you might be thinking, ‘Oh, he just typed that on Microsoft Word and cut out all the trimmings’. It couldn’t be more straight forward. This isn’t going to take any time at all. 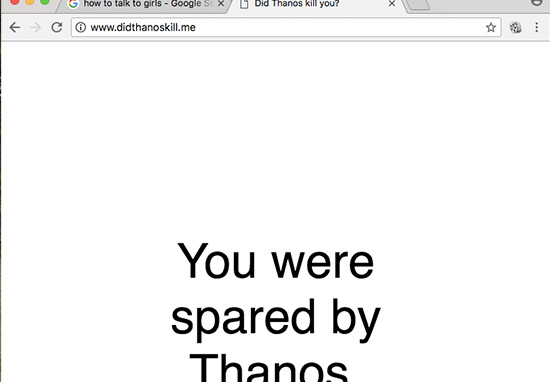 Simply click here and you’ll find out your destiny within a second, thanks to Did Thanos Kill. No funny business. BTW, don’t go refreshing the page over and over. It doesn’t change like one of them Facebook ‘What Would People Say At Your Funeral’ quizzes. Your fate has been sealed. Sorry! Infinity War has opened with an estimated $640 million worldwide, smashing previous-holder The Fate of the Furious with $542 million. It also set a new record for an opening weekend at the domestic box office, with a projected $250 million. It’s since overtaken the record set by The Force Awakens, which garnered $248 million. 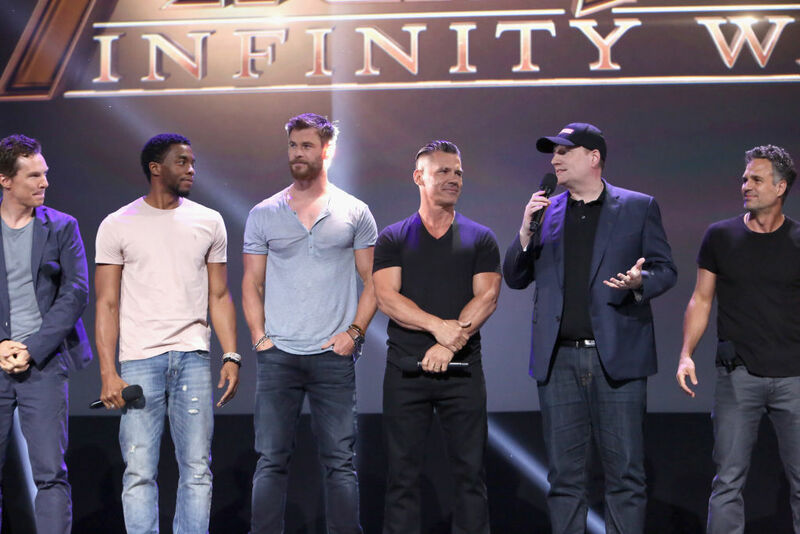 Congratulations @MarvelStudios and @Avengers #Infinity War. It’s the picture however, which makes the post. Above the caption is a makeshift image of a Jedi (I’m guessing Rey?) handing over a lightsaber to the hand of Iron Man. While it’s not certain whether or not the receiver would be capable of using a lightsaber, let alone be interested in including it within his technological arsenal, the gesture is powerful. And did I say classy? Infinity War, which along with Avengers 4, will serve as the grand finale to the MCU, sees Tony Stark (Robert Downey Jr) Captain America (Chris Evans) and Thor (Chris Hemsworth) finally go up against Thanos (Josh Brolin) as he attempts to assemble the Infinity Gauntlet. 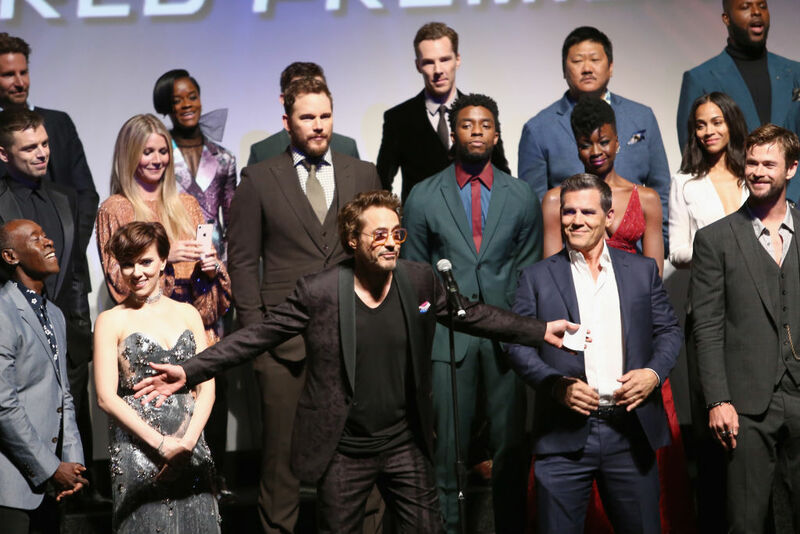 To fight off the evil Titan, the three will assemble the biggest Avengers team yet, featuring Doctor Strange (Benedict Cumberbatch), Ant-Man (Paul Rudd), Hawkeye (Jeremy Renner), Black Widow (Scarlett Johansson), Spider-Man (Tom Holland) and countless other heroes from across the cinematic universe. The movies, of course, also star Stan Lee. The OG of Marvel Comics. Avengers: Infinity War co-director, Joe Russo, confirmed the 95-year-old comic book legend will appear in Avengers: Infinity War, Ant-Man and the Wasp, and Avengers 4. 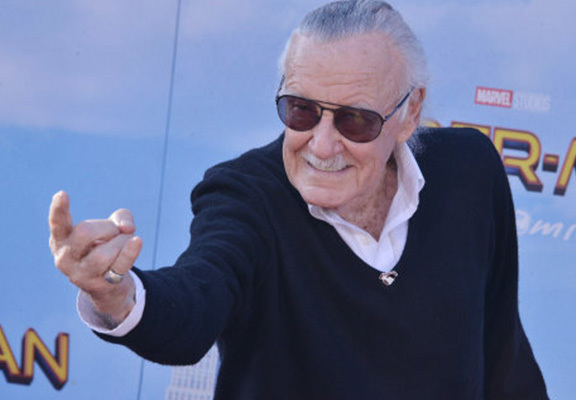 He first appeared in 1989’s The Trial of The Incredible Hulk as a juror, and has since made screen-time in an incredible 33 superhero films overall.